Thirteen hours isn't nearly enough time for two first-time visitors to see all the sights in Munich, but you can probably guess where we headed for lunch. Of course, it was Germany's most famous beer garden, the Hofbrauhaus. 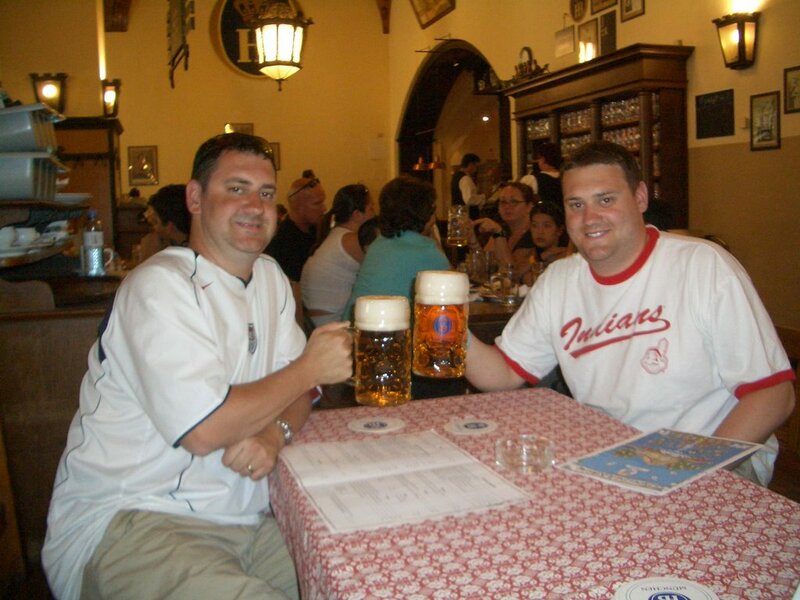 The Hofbrauhaus is an enormous facility, so getting a table was no problem. And while I'm sure many locals consider it a tourist trap, the food was good, and the beers were even better. Oddly enough, two men sat down next to us, one of whom grew up in Chicago about a mile from where I live now. Small world. He was wearing a German armband that was a thank you from a West German fencer who competed in the 1984 Olympics in Los Angeles, where our tablemate had been a volunteer.